While Dominic Mancuso’s Sub Urban Gypsy may not have the visceral rhythmic excitement of his last release, Comfortably Mine it is nevertheless as passionate and breathtaking in scope. In this album, too Mr. Mancuso plainly knows that there is a similarly enigmatic relationship with tonality and all of this music comes from a place where the music features a language that is beautiful in its melodic invention, lopes in broad parabolas and loping arcs full of rippling lines that leap like excited gazelles at the first smell of rain. What could be a dry piece is lifted off the page by passionate advocacy of the Dominic Mancuso Group who brings accuracy and tonal refinement to the music. In the profoundly beautifully reimagined “Norwegian Wood”, contrapuntal writing gives way to something more free-flowing and lyrical, and a wider range of sonorities. The question does niggle as to whether it’s coherent enough to be memorable, but again it’s given a performance which tends to sweep such cavils aside. Something like the piece “Sicily” comes from a different place. The language is more tonally based, with repetitive rhythmic phrases based around drones, something quite oriental sounding. It’s immediately appealing, and just as you’ve had enough of one musical gesture or texture, another as delightful comes along. Much of the allure on the rest of the album comes from the controlled, spacious performance, and that’s also apparent in “Dances in My Mind”. Coming towards the end of the album it’s even slower and more ecstatic in its wide-ranging, often modal lines. Like “Sicily” this piece too is worth exploring over and over again. 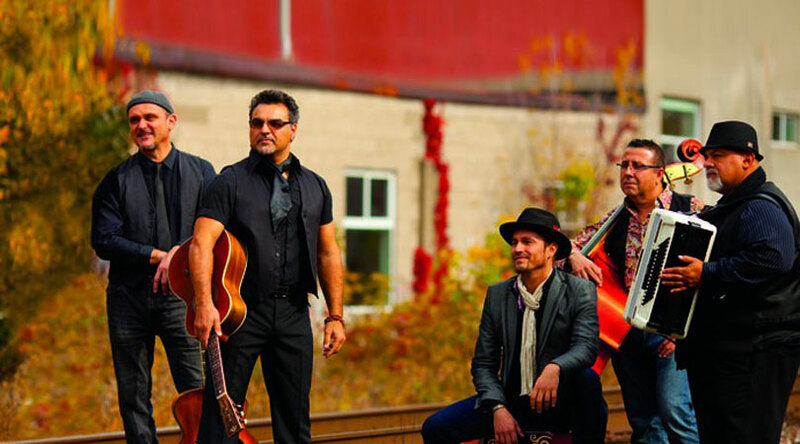 As a singer, Dominic Mancuso has a unique sensibility. His passionate Sicilian heart is accompanied by a richly reverential song-by-song commentary in the grand manner of the celebrated tenors who went before him. Yet he is utterly contemporary and all of this confirms a growing reputation. The voice is raspy and primeval and replete with metal. His diction is exceptional throughout, an impressive span of Italian and English. There is evidence of real imagination behind his programmes and his interpretations. His recital here has centred on dallying urbanity, but in a most eclectic way 11 songs span the gamut of emotions. His realisations of music are fierce and vital when emotions run high and almost elegiac when the music becomes slower and more melancholic and weighty when the music calls for it. The group beautifully imagined accompaniments are folksy and often emphasise filigreed figurations for the guitars and keyboards. 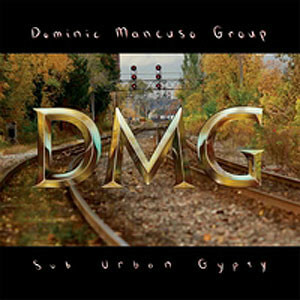 Here, on Sub Urban Gypsy as on the repertoire of his earlier album, Dominic Mancuso’s rich and widely ranging voice is an asset to his musicianship. His vocals are also deeply expressive. This makes us want to listen to his songs with refreshed ears. At full throttle Mr. Mancuso is perceptibly different and he ratchets up the narratives with dramatic tension. As good as the vocals are it is hard to separate them from the music of the accompanying musicians and this does not only mean the four musicians of the Dominic Mancuso Group, but also the several backing vocalists as well as Kevin Turcotte and Hugh Marsh who define their performances with great candour and with a breathtaking palette of colours as well. Track List: Her Simple Truth; Norwegian Wood; Saudade; Sicily; My Flesh; Salvatore; Think of Me; Dances in my Mind; Fast Paced Life; Salvatore (Reprise); Live and Let Live. Personnel: Dominic Mancuso: lead vocals and guitars; Tony Zorzi: guitars; Paco Luviano: acoustic and electric basses; Jerry Caringi: Hammond B3 organ, accordion and vocals; Chendy León: percussion and vocals; Kevin Turcotte: trumpet; Yvette Tollar: vocals (1, 7); John Johnson: woodwinds; Maryem Tollar: French and Arabic vocals; Jabu Morales: Brasilian spoken word and background vocals (3); Gord Myers: trombone; Robi Botos: electric piano (4, 11), melodica (4); Rob Cusevs: electric piano (5,) and synth pads (4); Kevin Adamson: background vocals (5); Rique Franks: background vocals (5); Hugh Marsh: electric violin; Angela Mancuso: Italian spoken word (9).